It's hard to play this down as simply hyperbole. 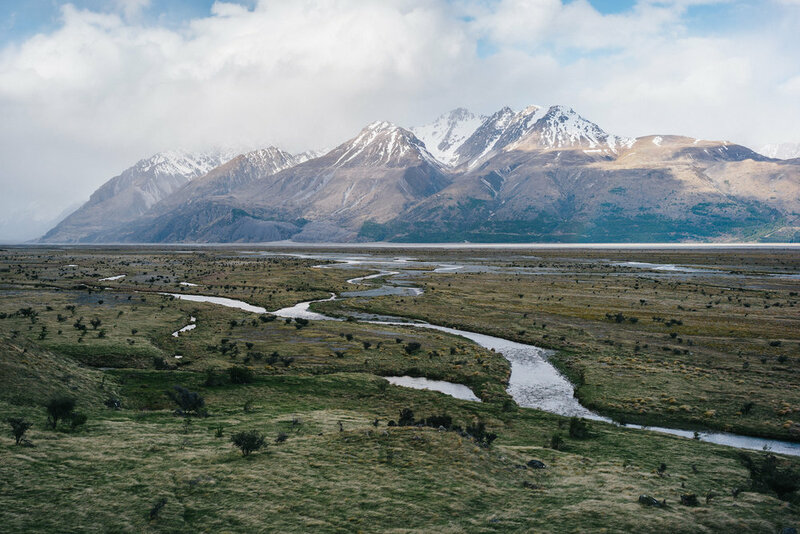 My brief three day road trip throughout the South Island of New Zealand was a life changing experience and has had a profound effect on my outlook on life and for the direction in which it will travel from now on. It was not until I was driving through the landscapes, experiencing the grandeur of the endless alpine mountains, the beautiful and lush sunrises as well as bigger hikes than are even possible in Queensland, that I realised how restless I had been feeling for years up to this point, trying to fit into lifestyles within my own city that simply did not fit for me. It has become plainly evident to me just how much the lifestyle you pursue can affect your happiness — that the notion of "chasing dreams" is not something to be laughed at. For the longest time, I've yearned to travel through countries like New Zealand and Canada, stretch my legs on alpine mountains, and live an adventure-oriented lifestyle. I live in sunny South East Queensland which is a very different kind of environment to the Snowy Mountains and Tasmania. Meltwater rivers flowing through Mount Cook National Park park from the Tasman glacier towards Lake Pukaki. I value greatly the life I've lived here and the financial security and living conditions it brings, and I always make the most of the mountains and country that is around me, but the mountain and trekking lifestyle that exists in those other countries is what I've been sorely needing for a very long time, given my recent time in New Zealand. To know that I'm already going to be spending another two weeks there in February 2018 brings me joy while I plan and wait for the new year. Before now, I didn't realise that a country like New Zealand could bring me the level of happiness I experienced in the core of who I am as a passionate photographer and hiker, without any assistance from alcohol, drugs, or even company on my travels. I drove for three days by myself, filming my photography, enjoying the sights and managing to fit in a solid hike up Queenstown's Ben Lomond track at the end to top it off. Even before I had left for this brief trip, I had already booked two weeks in the country in early February 2018, and now I am so much more excited for that than before. My plans are mostly laid, starting with a full day in Queenstown followed by a three day trek across the Routeburn Track, a Milford Sound boat cruise experience then spending my time for the next 5-6 days making my way from Queenstown up through Wanaka and Mount Cook National Park towards Christchurch where I fly to Wellington for a few days with my mountain-loving relatives who live nearby. Until then I'm going to enjoy photographing around South East Queensland while filming new videos for the YouTube channel. Cannot wait!